TGD belt bucket elevator is our factory new product which adopts foreign new technology and combined inland practical experience to develop new generation product. The equipment has large capacity, small size, less consumption, stable operation and longer lifespan property. And it is applied to bulk powder and granule vertical conveying, and popular used in construction, metallurgy, chemical engineering, grain, electricity field etc. TGD belt bucket elevator traction equipment adopt high strength steel cable belt, overcome chain mesh drive to generate dynamic load, more portable than chain, and operate stably, can obtain high speed and high capacity. 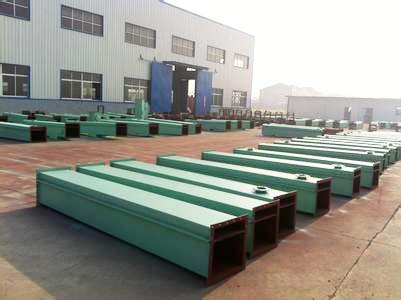 Under the same producing condition, since belt less weight and high speed, make less material linear load and less traction equipment linear load, then decrease the whole equipment size and weight. 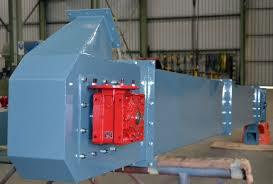 Meanwhile, due to belt good elasticity and flexibility, it has the damping function when load material to bucket. As we adopt high strength steel cable belt, increase bucket elevator vertical conveying height and conveying capacity, therefore it has bright development prospect. 1.High vertical conveying height, single equipment can be up to 100m. 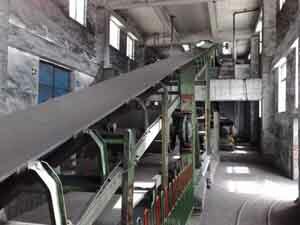 2.High conveying capacity, maximum 1260m3/h. 3.Material temperature can be up to 120℃. 4.Compact bucket distribution, continuous loading and unloading. 5.Long lifespan, stable operation, failure free operation time exceeds 30 thousand hours. 6.Less consumption, comparing usual bucket elevator, the consumption is less than 30% and even more, lower usage cost. 7.Easy and convenient maintenance, less quick-wear parts, the cost for maintenance lower 80% than usual bucket elevator. 8.High precise structure, high strength and beautiful appearance.